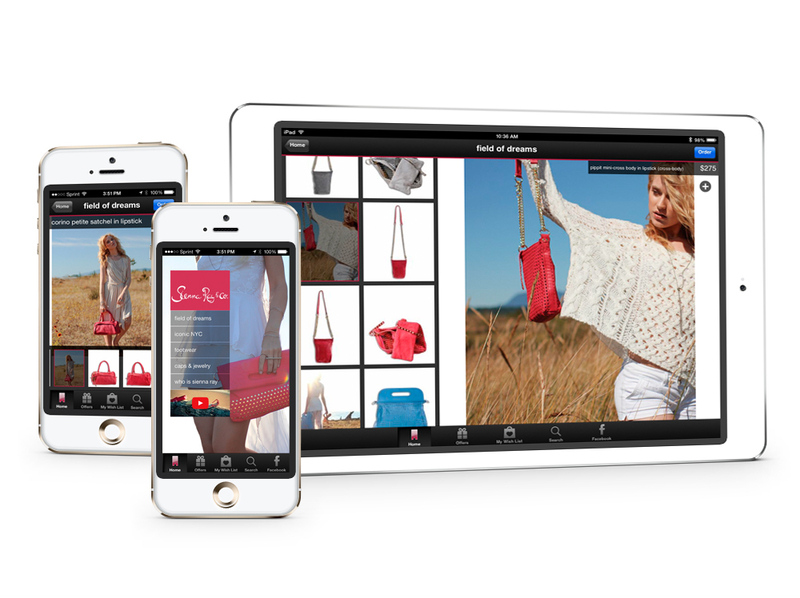 We launched the Sienna Ray App into iTunes in 2012. Acting originally as a beta user for a new template service out of Israel; due to the quality of creative work within our app we became their marketing example during series A + B funding pitches. Our visual success was the outcome of surpassing the challenge of staying true to our brand key while working within a template structure. Without requiring additional coding/customization we adapted the catalogue to align with our clean and simple aesthetic. NatalieKathleen.com Portfolio is built via Squarespace template with full design direction, asset creations and additional custom coding completed by myself. Shop.SiennaRay.com Sienna Ray E-Commerce was built from scratch in 2011 under my art direction with web developing firm building out a sophisticated backend within Magento CMS platform. With an on brand, clean front end and a self sufficient back end programmed to seamlessly communication directly between customer/shipping/wharehouse without need for additional human web management during transactions. All product, design assets and basic coding updates are managed by myself and/or the Sienna Ray marketing team. SiennaRay.com Flash website was the original handbag website created in 2009 in collaboration with an independant developer. The site is highlighted by a custom revolving/carousel image viewer along with traditional assets of a fashion brand's website. All seasonal updates are completed by myself and/or the Sienna Ray marketing team with CSS/HTML directly within the hosted server.